One year ago this week, more than 800,000 people flooded the streets of Washington DC for the March For Our Lives. Sister demonstrations popped up worldwide. On March 24, 2018, students from Parkland, Chicago, Los Angeles, and cities all across the country took the stage to share their heartbreaking, intimate experiences with gun violence—and demand change. 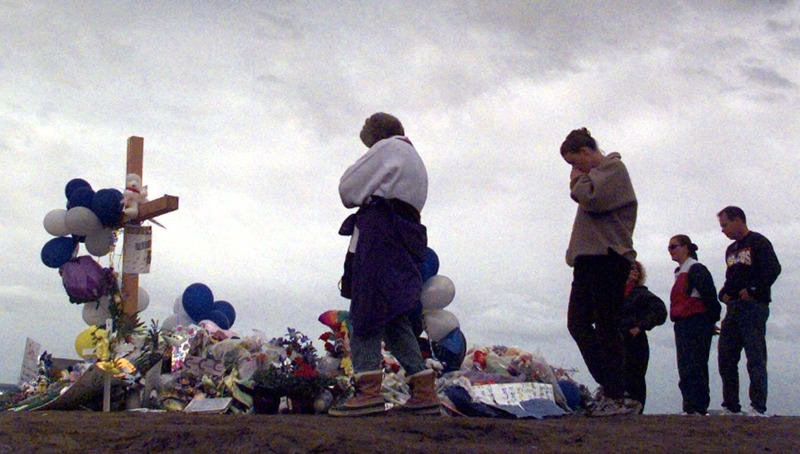 Americans were all too familiar with tragedy, but this level of momentum felt new. March For Our Lives was one of the largest political demonstrations in recent history, and it was organized by students…in about a month. Since the March For Our Lives, a wave of courageous young people has taken the national stage. Every one of them is determined to create a future free from the fear of gun violence, and undeterred by any obstacles in their paths. Check out just a few of these young leaders below. Aalayah Eastmond came close to being shot at Marjory Stoneman Douglas High School in Parkland, Florida. Since that horrific day, she has devoted herself to calling attention to the epidemic of gun violence in underserved communities. Aalayah helps lead up Team Enough, which “mobilizes young people to change the gun violence landscape in our country.” In February, Aalayah testified in support of gun safety measures to the House Judiciary Committee—the first House hearing on gun violence prevention in more than a decade. Tre Bosley pictured right at the Chicago Peace March in June 2018. After Tre Bosley’s brother Terrell was shot and killed in front of a church in Chicago, he became an outspoken advocate against urban gun violence. Tre spoke at a CNN town hall with President Obama in 2016 about poverty and gun violence and also gave a passionate speech at the March For Our Lives in DC last year. Ashley Baez was shot in the right leg in the Parkland shooting. Four weeks later, she flew to Washington DC to attend the March For Our Lives. Her injuries were extreme. She’s had multiple surgeries and has more to go, but she isn’t letting that hold her back. A Giffords Courage Fellow alumna, Ashley has travelled to DC several times to advocate for stronger gun safety laws. When Edna Chavez took the stage at the March For Our Lives, she gave a speech no one would ever forget. She described growing up under the threat of daily gun violence in South Los Angeles, where she watched her brother, Ricardo, get shot and killed. A member of the Community Coalition, Edna fights for social justice and violence reduction in her community. Elijah grew up in Muskegon County, Michigan, which is one of the deadliest urban areas in Michigan. He is an alumnus of the Giffords Courage Fellow program and co-founder of Youth Activism Coalition, which helps students become more politically active. Elijah is a rising freshman at George Mason University, where he also started the campus’s Students Demand Action chapter to organize students to fight for gun safety reform. Audrey Wright is a high school student and president of the Peace Warriors, a student-run and Chicago-based group helping lead the national conversation to end gun violence. Through events, press conferences, and local and federal advocacy, Audrey works to ensure that leaders are fighting for solutions—not just for mass shootings that claim the most attention, but also for the everyday gun violence that takes a serious toll on young people in cities nationwide. Marcel McClinton (far right) on stage at the Vote Save Lives event in Houston, the weekend before the 2018 midterm election. Marcel McClinton survived the Houston church shooting that killed one person and injured six more. Marcel was a co-organizer of the Houston March For Our Lives last year and has been a vocal advocate for gun safety ever since. A high school senior, he is a member of Houston Mayor Sylvester Turner’s Commission Against Gun Violence, and now, a candidate for the Houston City Council. 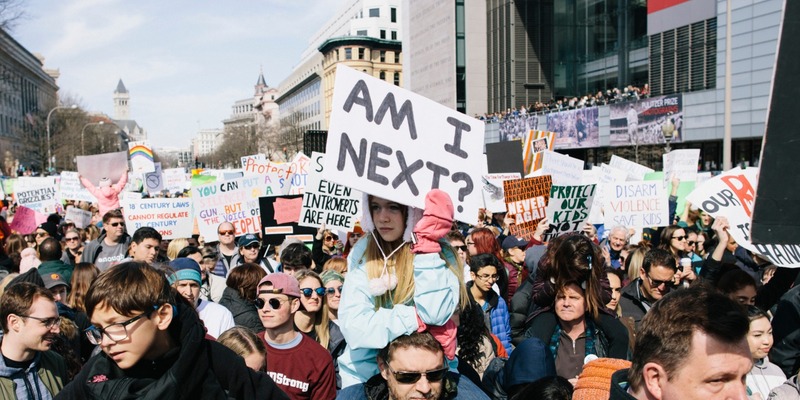 In March 2018, students all across America walked out of school and into the streets to protest inaction on gun violence and demand stronger gun safety laws. It was called the National School Walkout, and it was organized by 16-year-old Lane Murdock. One year later, Lane is a Giffords Courage Fellow alumna and focused on advocating for stronger gun laws alongside other young people.